To adumbrate is to describe something incompletely or to suggest future events based on limited current knowledge. An apocryphal story is one that is widely known but is probably not true. If you describe someone as articulate, you mean that she is able to express her thoughts, arguments, and ideas clearly and effectively. When one thing belies another, it hides the true situation, producing a false idea or impression about it. When you depict something you either illustrate it with a picture or image, or describe it using words. When people dissemble, they hide their real thoughts, feelings, or intentions. If you misconstrue something that has been said or something that happens you understand or interpret it incorrectly. A revelation is the disclosure of information once secret that is often surprising or valuable. A spurious statement is false because it is not based on sound thinking and so is not what it appears to be. To attract people to your blog, it is a good idea not to obfuscate or complicate your ideas, but to write in short, clear sentences. By deliberately obfuscating or obscuring what you want to say, you make it hard for most readers to understand, so they will probably not be regular visitors. The most popular blogs offer simple and clear entries that are not obfuscated or clouded in any way. Quiz: Try again! What does it mean to obfuscate something? To create a piece of writing that reaches a wide audience. To deliberately make it confusing and difficult to understand. To write simply with very clear ideas. Obscure? Refute! If editors find that new submissions for novels are too obscure in their language they will often refute or reject them out of hand, since obfuscated material will not apply to a large market audience. When one obfuscates one’s words one makes them “thoroughly dark” and therefore hard to comprehend. 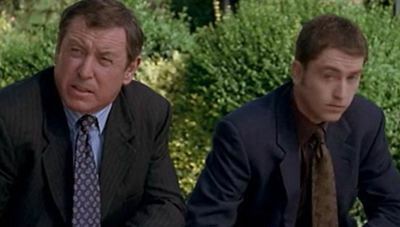 Midsomer Murders The suspect in question is most certainly obfuscating.